From CEO to Janitor--This 54-Year-Old Father Just Did the Impossible at the College He Works At! Back in 2008, Mike Vaudreuil was living the American dream. He owned his own company, he had the wife and kids, the nice house, all of it. Then came the economic downturn, forcing Michael to file for bankruptcy and losing his car and foreclosing his home in the process. The turn of events forced him to take a job as a janitor at the local university. The now 54-year-old spent his nights picking up after the college students for the last 8 years. To make the job feel like it paid more Mike took advantage of every free benefit the school offered, like an education. So Mike starting taking undergraduate classes tuition free during the day, and cleaning up after his classmates by night. 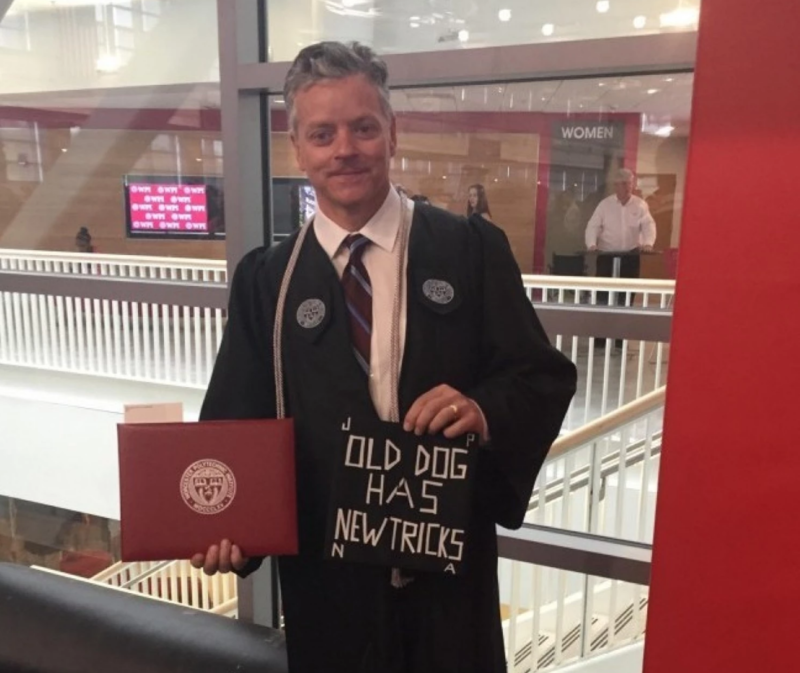 “Old dog has new tricks” next to four letters, one for his wife, the other three for his son and two daughters all of whom were there to witness their dad walk across the stage. “We are so proud of you, Mike!” Leshin said. It wasn’t an easy journey. 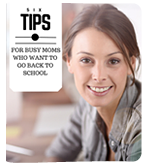 His wife would work days while he worked nights and even when they were together he was usually studying. Right off the bat he had to drop Calculus because his Algebra was too weak. Instead of quitting he taught himself through YouTube videos and went back to take Calculus again, this time getting an A. Because of how hard he was working the school made an exception to their “one class a term” rule and allowed Mike to double up so he could graduate even faster. Since he just graduated he hasn’t been offered any work yet but we’re confident someone is going to get this inspirational father!